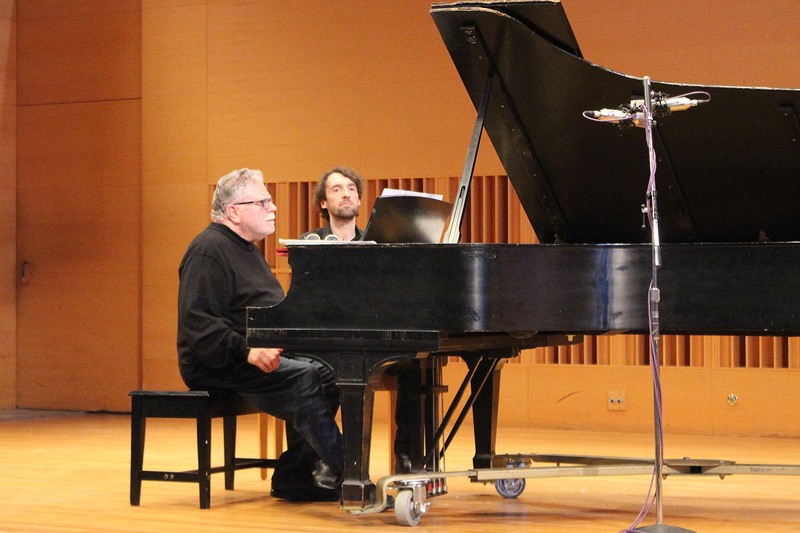 After publicly performing almost 16 hours of his solo piano compositions, Neely Bruce, the John Spencer Camp Professor of Music played his final concert on March 31, concluding a six-year project. Bruce, who took up piano at the age of 8, began the series titled “This Is It! The Complete Piano Works of Neely Bruce” in 2013. He performed a total of 17 CD-length recitals at Crowell Concert Hall during this time. 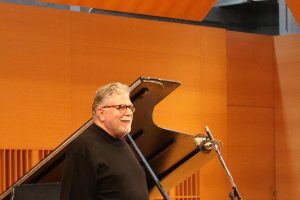 Bruce has composed more than 300 original songs in addition to three full-length operas; five one-act operas; works for orchestra, chamber orchestra, and wind ensemble; chamber music; electronic music; and documentary film scores. He also set the Bill of Rights to music. Read more about his work on neelybruce.com. “I never set out to be a composer of such an extensive oeuvre for piano,” he said. This spring, Bruce is teaching 18th-Century Counterpoint and Music of the 19th Century.